If you’re looking for an asphalt driveway paving contractor in Northern NJ, you’ve come to the right place. Many asphalt driveway paving businesses can cut corners and offer a poorly paved asphalt driveway that requires driveway repairs just a few years later. We charge a fair price for a driveway that will last you years longer than a cheap driveway that isn’t made with the right amount of asphalt or materials. If your driveway is brittle, cracked, or not as black as it used to be then it may be time to get a free driveway paving estimate from Frank A. Macchione – Paving Plus. We’re your local Bergen County driveway paving company. Give us a call at 201-652-0694 for a free estimate or fill out our contact form. We’ll give you a cost estimate within 24-48 hours. 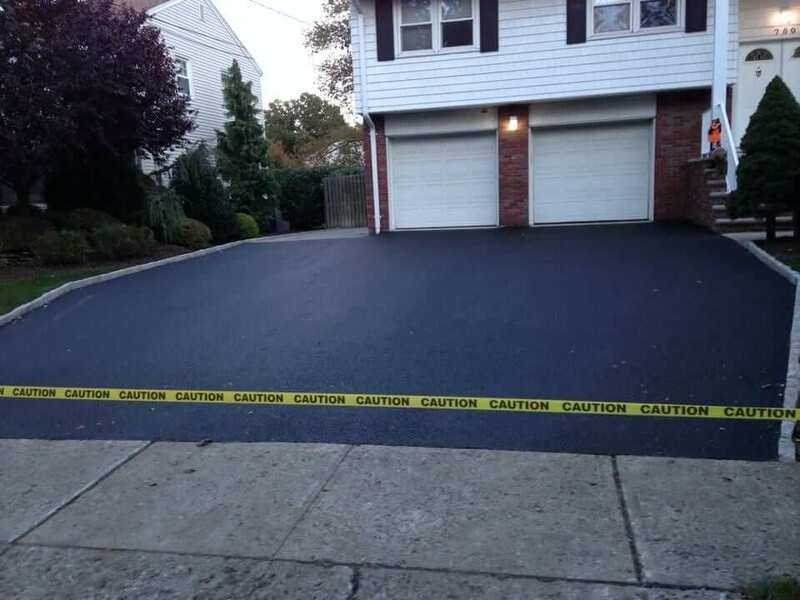 When looking for an asphalt driveway paving contractor in Bergen County, NJ you will likely find people with prices that are too good to be true. Here are a few tips to find the best asphalt driveway paving contractors in northern New Jersey. If someone comes to your door unsolicited, you should always ask for license and make sure they are insured. Do your research, look up reviews online and see if they have a website. If you can’t find them, move on. Always Ask the driveway paving contractor how many inches of asphalt they are going to use, the correct amount is between 4-8 inches especially in colder regions like Northern NJ and Bergen County. You will want to protect your investment and avoid your asphalt driveway cracking and falling apart in a year or two so use a reputable company that doesn’t cut corners. When it comes to your driveway you really get what you pay for. A top quality asphalt driveway may cost you 20% more but will last you 10 times longer than it’s shoddy counterpart. We can also install Belgian Block or brick pavers to line your driveway and enhance its attractiveness. Brick or stone edging can help keep grass from shooting up between asphalt cracks. It also provides a barrier to prevent vehicles from drifting off your driveway. The edging can securely be inset in your asphalt to provide a streamlined, clean appearance that is functional and elegant. As the owner of Paving Plus, Frank Macchione recognizes the importance of customer service, reliability, and quality work. Call Paving Plus at 201-652-0694, or use our online form to request a quote.